This was stated by Azerbaijani MP Gudrat Hasanguliyev during a discussion of the draft state budget for 2016-2019 at a joint session of the parliamentary committees on science and education, legal policy and state structure, regional issues, culture, human rights, international affairs and inter-parliamentary relations. Hasanguliyev mentioned that this system is popular in many countries around the world and what is more important, it brings effective results. In turn, the privatization of the public universities and hospitals will be a source for bringing additional incomes to the public budget and, as a result, it will significantly reduce the load on it, he said. Considering the recent statement about the decline of state budget revenues by 12.1 percent forecasted for the current year, the privatization of the public universities and hospitals could play a role in additional incomes to the state's treasury. Economy expert Oktay Hagverdiyev, however, considers the privatization of all public universities to have negative results for the country, as this system can deter potential students from studying in the universities. He believes that the governmental policy cannot be completely given to the private sector as the country is interested in creating specialists in different spheres of activity. The budget of the country will be provided with additional sources of income with adoption of a paid educational system, but it could result in poor-quality education, economist Vugar Bayramov told Azernews. He believes that it is needed to consider each university in an individual manner. Azerbaijan couldn't provide so many universities with financing, therefore, the country faced necessity to open paid faculties, Hagverdiyev added. He cited as an example the U.S., where this system is popular. “But this country has passed all stages of the educational system, while Azerbaijan hasn't, therefore, our country isn't ready for such radical changes,” he said. 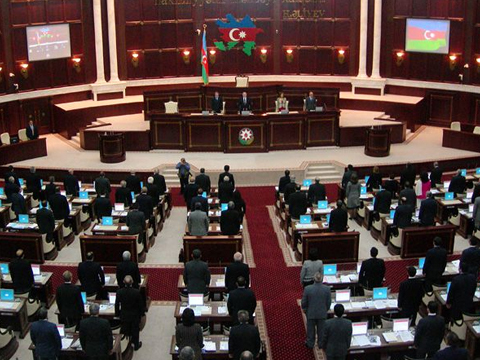 Currently, Azerbaijan has 52 public and private state universities.